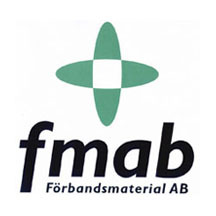 Forbandsmaterial AB is a leading distributor, serving the Swedish healthcare market. Forbandsmaterial AB supplies the market with a wide range of medical supplies, equipment, laboratory products and technical services combined with innovative and cost effective logistic solutions for customers, and suppliers. The company was sold in 2007 to CapMan private equity, which created a holding company OneMed for their healthcare division.